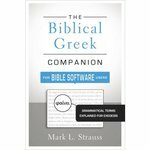 The Analytical Lexicon to the Greek New Testament was created to aid in the study of the Greek New Testament, using sophisticated computer resources to ensure an accurate, helpful, and in-depth analysis of the word forms that make up the New Testament. Its combination of features sets it apart from all previously published analytical lexicons: - Based on the UBS 3d edition (revised). 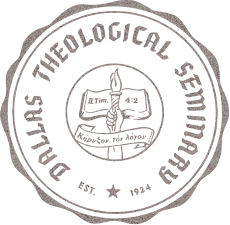 - Includes both accepted and variant readings - Consistent with today's standard Greek lexicons - Gives the frequency of each inflected form, verse references for forms that occur only once - Includes Goodrick-Kohlenberger numbers for all words - Includes principal parts for all verbs - Contains a grammatical section with a discussion of paradigms and explanations as to why paradigms are formed as they are Most significantly, The Analytical Lexicon to the Greek New Testament is keyed to the author's Morphology of Biblical Greek, which explains in detail why some Greek words follow certain patterns and other Greek words follow seemingly very different patterns. The Analytical Lexicon to the Greek New Testament is more than a tool for quick reference--it provides the Greek student or scholar with an index to another body of literature. Basics of Ancient Ugaritic is a teaching grammar of this ancient language, one of vital importance for understanding the wider world and culture surrounding the Old Testament text. It begins with the alphabet, and each new lesson builds on the ones before it. It is not, therefore, a synthetic Ugaritic grammar--these types of texts often prove to be overwhelming for students. 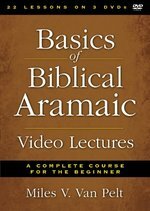 Basics of Biblical Aramaic Video Lectures provides 22 easy-to-follow lessons (on 3 DVDs) introducing the most neglected biblical language. Integrated for use with one of today's bestselling Aramaic textbooks, it is an ideal resource for formal Aramaic language students wanting additional help in their learning; for instructors wanting to devote classroom time to drills and exercises, giving them a lecture tool their students can watch on their own time; and for armchair students of biblical Aramaic with an interest in learning on their own. 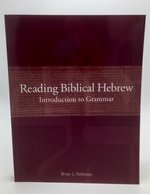 Designed for students who already have a working knowledge of Hebrew, each lecture is approximately half an hour and is taught by experienced teacher Miles V. Van Pelt using a logical and simple method of learning biblical Aramaic. 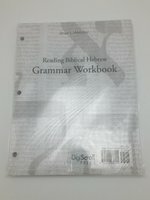 Focused on the structural pattern of biblical Aramaic over rote memorization, Van Pelt's lectures will give students in formal language classes and self-learners alike the basic understanding they need to begin studying the 269 Aramaic verses in the Old Testament and Aramaic in other ancient texts. 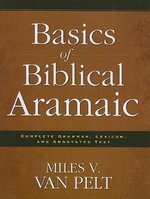 First published in 1993, Basics of Biblical Greek is the most popular introduction to the field, used in universities and seminaries around the world. Over 250,000 students have learned biblical Greek under its guidance. This significant third edition has been carefully developed in consultation with instructors, students, self-learners, and homeschoolers. Users can now take advantage of the many improvements made to the book's website, www.BillMounce.com, where they will find--for free--an online course that walks students through every chapter, vocabulary flashcards, video and audio helps, Greek fonts, quizzes for each chapter, fun songs and games, and much more. Now in a larger size, with an attractive 2-color design, the third edition adds an element of fun, with encouragement, songs, and more, which appear in the margins. Chapter 35 has been split into two chapters, "half-time review" sections have been added to every chapter, and new exegesis sections are now included. These and other improvements serve to enhance the learning experience and will continue BBG's legacy as the premier introduction to biblical Greek.